I agree with you, peyote is not a dangerous drug but a sacred sacrament. I've written several articles on Native Americans and peyote in which I argue for this, demonstrating that peyote helps Native Americans in a number of ways and should not continue to be classified as a controlled substance. Thanks for the great article and photos. Hopefully we can do something about the situation. not really anything to do with the article, but i can't help wondering what is that plant on the cover of the journal? good article though, thanks, interesting. 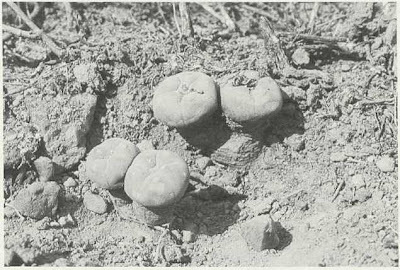 surely some policy makers in the us government must be sympathetic towards lophophora hopefully their common sense will get a chance to prevail. Regarding the cover illustration, the CSSA description reads: "There's no doubt about it: Euphorbia piscidermis, from Ethiopia, is one of the most remarkable of succulents. When it is not in flower, no one would suspect it of being a euphorbia. Its globose stems are closely shingled with scale-like appendages (the specific name means "fish-skinned"), such scales being otherwise unknown in the genus. It is a difficult species to grow on its own roots and is usually grafted, a process that encourages such proliferousness as shown on our cover." Interesting blog and commentary. 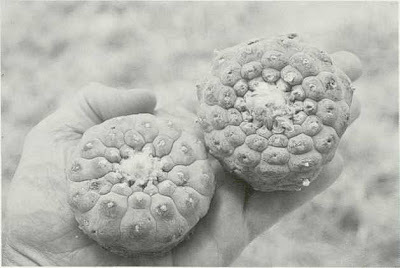 I have been interested in Lophophora and Trichocereus pachanoi cacti for years. My blog is less focused, and tends to take me wherever I am at the time. Recently, however, I re-read 'A Woman of the People,' by Benjamin Capps, which only compares to the story of Mary Parker, a Comanche captive, and mother of Quanah Parker, in that they both are about white captives taken by Comanches. Still, it reminded me of Quanah Parker's influence upon the displaced Natives in regards to starting the Native American Church. Before I leave the topic for now, I wanted to comment on this, and came upon your blog. Can I put a link to your blog on my page? I look forward to reading more of what you write on the topic. Very thoughtful and informational. If you visit my blog, my comments about the book, myself and my interest in Native Americans are mostly in my sidebar, but I finally moved it to blog posts as I finished it off. The sidebar was getting too long! I plan to include more of my personal experiences of Native Americans, etc., read my interests in my profile, in the future, as I finish more books! My current interest is language and Native Americans. Molly, your writings on the origin of the Native American Church (http://freyasgarden.blogspot.com/2008/02/quanah-parker-lophophora-and-native.html) are very interesting - my primary focus is on the botanical aspects (growing, preserving, etc) of peyote but I would definitely like to learn more on the NAC. And sure, it's fine to link to my blog on your page. Hi, this started out as an email, so it got really long. Sorry! Plus I may be repeating myself, but I went ahead and copied it anyway. So here goes.... I started, as you may know, just to recount a little of the book, A Woman of the People, by Benjamin Kapps. 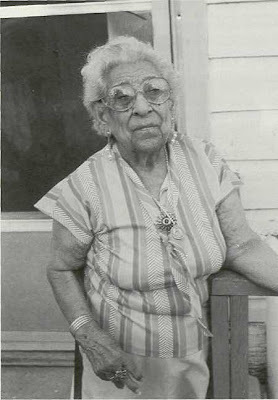 I only came to the topic of peyote in a round about way, i.e., the Kapps story, while not a story about Cynthia Parker, Quanah Parker's mother, had the characteristics of white captives of Comanches. 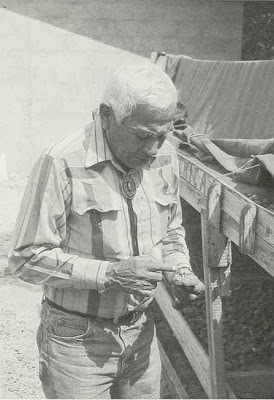 Through further investigation in the similarities, I felt compelled to talk about the Parker lineage, and Quanah's accomplishments as a chief. Further, when I learned of the Native American Church, I, too, was intrigued. Considering the topic of your blog, I imagine you have insight into how he might have been compelled to spread the word about the benefits of peyote. I am also impressed how its use was transformed into living a life of right choices, especially in light of the difficulties they faced at that time, forced confinement to reservations, loss of tribal lands, stripping of cultural identity, practices, and way of life, and the lingering problems of alcoholism, abuse, and apathy in the face of these changes. Again, the peyote or psychedelic experience can cause one to reconsider life choices, change life patterns, and gain an appreciation of the connectedness of all, or to have what is known in more familiar religions as having a 'religious experience.' This last idea is one with which the Native Americans were already familiar, but the use of peyote can emphasize and confirm, shall we say, this idea or knowledge of connectedness. Perhaps I have not told you anything you don't already know. In my limited research of the Native American Church, a familiar story was that Quanah Parker started the Native American Church, as described in my blog, but the records vary. It is said that he became wealthy in his dealings with the peyoteros, or probably in those times, harvesters of buttons without legal involvement. Due to the great demand for peyote on the reservation, and his authority and influence amongst most of the tribe (some considered him to have adopted too many white ways, and lost respect for him), he likely did have the channels and means to deal in peyote for his peoples of all tribes. Your blog is interesting, and I was glad to have found it. 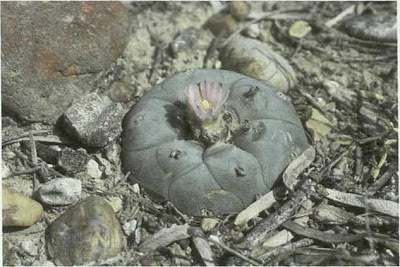 I never did grow peyote, though I have seen it growing wild in the southwest. I did spend some time propogating Trichocereus, the San Pedro cactus, as well as experimenting with other plants that natives considered to have 'healing' qualities. Thus my interest in ethnobotony began and has continued throughout my life. I like the way you have made your blog more pointed and focused, than, say, mine. I want to write more about Native Americans, but am not moving as quickly in that direction as I would have liked, thus my blog is a mish mash of whatever strikes me at the moment. I also have not done the necessary research of reading lots of other blogs in order to help gain readership of my own. I mostly do it for myself, as expression, as I gain more experience may proceed outward a little more. Thanks for helping me find information for my post, and I will check back occasionally to see what you are up to. I will go ahead and list your blog as a link, and I appreciate your permission. Also, since my blog was started, Google has switched to the new Beta style, so my html is pretty messed up, and I have a hard time working with it. Thus, I may start my blog over, if I can't copy it. If I do I will let you know, so you know where your link is. Thanks again, and sorry for such a long post! Molly, thanks for your very informative comment. When I get the time I have to read up on the history of the Native American Church - if you have more references to relevant literature on the subject I would be glad to know. Thanks for your remarks about my comment. I, too, would enjoy reading an authoritative account of the origins of the Native American Church. I got my information from different web sites, but the information varied. I would like to go back to it, but currently have a stack of books, probably like most people! My latest focus has been on truth in the Native American experience versus the white man's account of the Native's experience. I just finished 'Growing up Native American.' It is a compilation of excerpts from Native's experiences of youth in the 19th and 20th centuries. That in itself is a jumping off point for a number of good books. I'm reading 'Ancestral Voices: Conversations with N. Scott Momaday.' I have a few other books by him that I want to read because of the value he places on language. (another interest of mine). Perhaps most interesting are two books I recently picked up in a collectible book store written by Joaquin Miller. First I got 'Songs of the Sierras,' published in 1892. That appealed to me because I grew up in northern Nevada, on the eastern slope of the Sierras. When I was purchasing it, the owner showed me a second book written by him called 'Unwritten History: Life Amongst the Modocs.' It describes a five year span he spent living with the Natives, with a desire to describe his experience as it was, in contrast to the propoganda and misinformation of the time. He attempts to illuminate their nobility and dignity, and make known the injustices and cruelty they experienced. This book was published in 1874. As far as the blog goes, it has just become addictive. I enjoy the bit of creativity it allows me, and a small oportunity for expression, but I have been trying to spend less time on it so I have more time for reading, for example, and other creative endeavors in the tactile world. I never did switch to the new template. I have just been managing with it, and trying new things in the code until I get it right. Most recently, my son helped me add a feed, not originally in the old style. So if I manage to keep my promise to myself, I will be blogging less, reading and creating more. Then I may have more to blog about in the area of interest and direction I want my blog to take. If you find that great book on the Native American Church, let me know. Greetings! I too have been enjoying your blog immensely. Thank you! 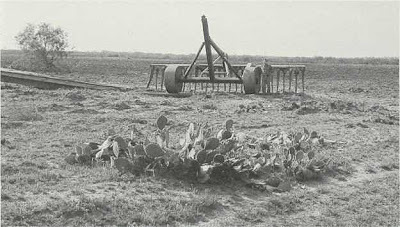 It has provided a "diving off" point for my research on the sustainability of the peyote plant in south Texas. 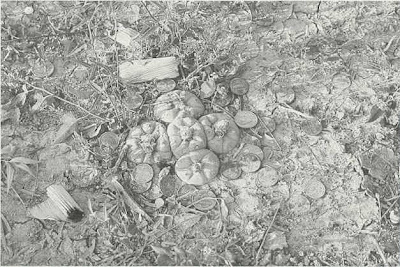 I am formulating my Master's thesis around the intrinsic value of the peyote cactus as a biological species, because of the medicinal and spiritual value associated with it. I am writing a detailed history of the Native American Church and the story of peyote in the context of American history. I am a botanist. This is a very intriguing topic! I am happy to share my thesis to anyone who is interested in reading it. It is a compilation of all the notable authors on the subject 1800's - present. may I have a copy of your masters thesis? redroad49@yahoo.com thank you! It's equally good to hear that your Master's thesis is centered on the peyote cactus. 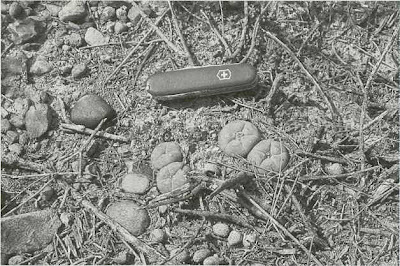 The only state-of-the-art academic writings I know of are those of Martin Terry (his PhD dissertation A tale of two cacti: studies in Astrophytum asterias and Lophophora williamsii contains a wealth of interesting information - if you don't have copies of his other articles already, I'll be glad to share), so I had started to fear that most original research on peyote was being muffled by the restrictive US legislation on the subject. I'll appreciate a copy of your thesis - you can reach me by email at "lophophora [dot] blog [at] gmail [dot] com". Hello again. Yes, I am familiar with Dr. Martin Terry. 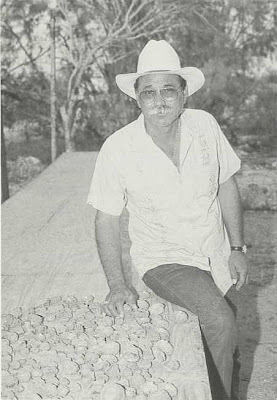 His work appears to be the only scientific data available on current peyote populations in south Texas. He is doing an excellent job of providing the data needed to understand the severity of the conservation crisis, from a biological perspective. 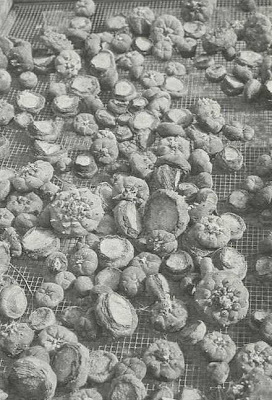 My thesis is more or less a discussion of the complex history of peyote, as a medicine and religious sacrament in the United States. I discuss how/why it came to be the sacrament for the NAC (this is not an easy thing to pin down) and the progression of the Church over the past 100 years. I also aim to unravel the complicated Federal and State regulations regarding peyote. Again, a difficult task as the matrix of Federal and State law, mixed with various case law, Amendments, and Native American rights are tangled. 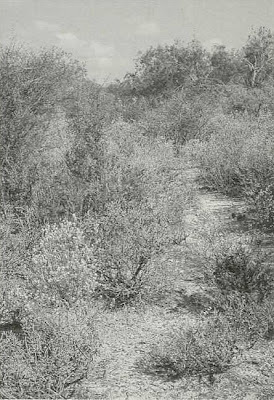 Finally, given this background, I aim to discuss the current status of peyote in the wild, and provide recommendations on the future conservation of the species as a religious, medicinal and biologically important species. I will gladly share my thesis with you. It should be complete in about 2 weeks. This is really exciting! I look forward to the opportunity to read your thesis as well, Kimberly. Keep us informed about when it is available and how we can access it. Ask and ye shall receive! it would be great if other aspects of native culture/religion would be honored and respected... the hollywood images still being produced are much to blame for incorrect ideas about native civilizations...think about where the cotton for your clothes came from... as well as beans, corn, squash, chilis, tomatoes, potatoes, chocolate, vanilla, rubber, and so many fruits and vegetables, grains and medicine plants to numerous to name... peyote being one of them. El blog y en particular este articulo me parecen muy interesantes y han sido de mucha utilidad para mi trabajo de investigación "Analisis espacial de Lophopora williamsii en Real de Catorce". En México aun existen poblaciones de L. williamsii conservadas, sin embargo también se enfrentan a las mismas presiones que en Texas, pues son extraídos con todo y raíz, y la perdida de hábitat es inminente. Así que la solución que propone Anderson en cuanto a hacer un convenio México-USA, me parece poco viable, sobre todo por la sisuación sociocultural en la que se encuentra mi país, además de que el sistema legal en México es poco confiable. Sin embargo coincido en que se ha "satanizado" el uso del Peyoye, cuando en realidad es digno de respeto y culto. Creo que la propagación y cultivo es una solución viable, pero antes se requiere que cambie el concepto que tienen los mestizos en cuanto a su uso. wanted to know how to get a shipping permit for a native indian.my grt.grand father was chief blue feathers. 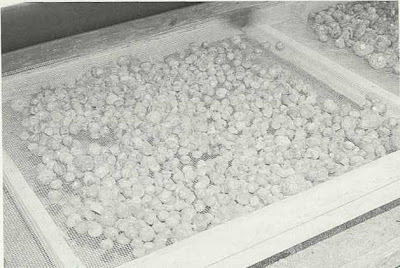 how to get shipping permit for cactus seeds if your a native american.